An exciting part of traveling is having the opportunity to try the local cuisine, but for vegans this can be difficult. Many local specialties include meat or dairy, and finding something that fits your lifestyle can be difficult. Luckily, veganism is on the rise making it easier to stick to your plant-based diet while traveling. 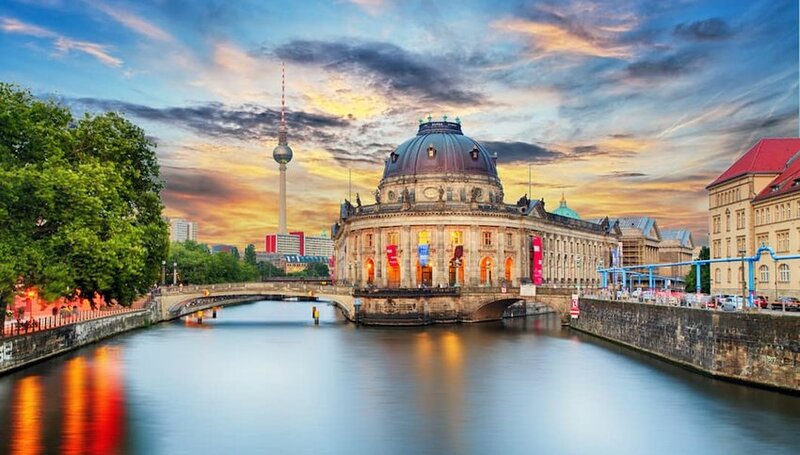 Some of the most vegan-friendly cities throughout Europe may surprise you. These destinations boast delicious all-vegan restaurants, clothing shops and grocery stores. Popular dishes are available with a vegan twist. Even if you don’t follow a strictly vegan lifestyle, we think these spots are worth the visit for any traveler. 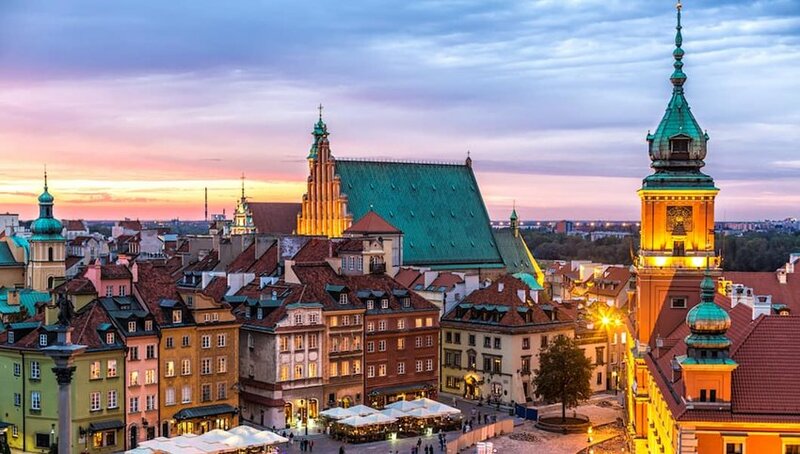 This may surprise you, but Warsaw is consistently listed as a top vegan city on many lists, proving that the Polish city's food scene is more than just pierogies and sausages — although you can find vegan options for both here. According to Vegans With Appetites, there are over 40 vegan restaurants in Warsaw, with food choices ranging from sushi to schnitzel. Check out Vege Miasto for a traditional Polish meal, vegan-style. Don’t worry about being over-charged — veganism is pretty mainstream in this city, so restaurant prices are affordable. 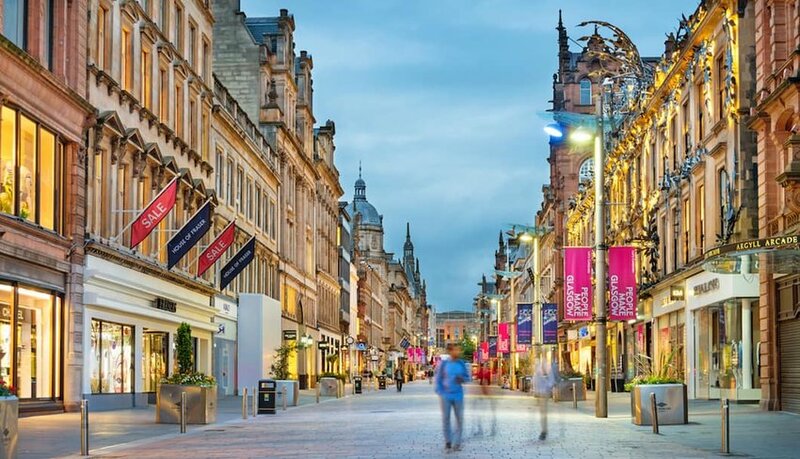 Glasgow, the largest city in Scotland, is home to beautiful Victorian architecture, rich culture and a growing vegan scene. In fact, Peta has voted this Scottish city one of the most vegan-friendly in the UK. Whether you’re in the mood for pizza or Vietnamese fare, there are plenty of choices. A raw vegan cake shop called Rawnchy is one of this city’s newest vegan additions. Want something a little more traditional? The Flying Duck has a 100% vegan pub menu, including delicious alcoholic and non-alcoholic milkshakes. 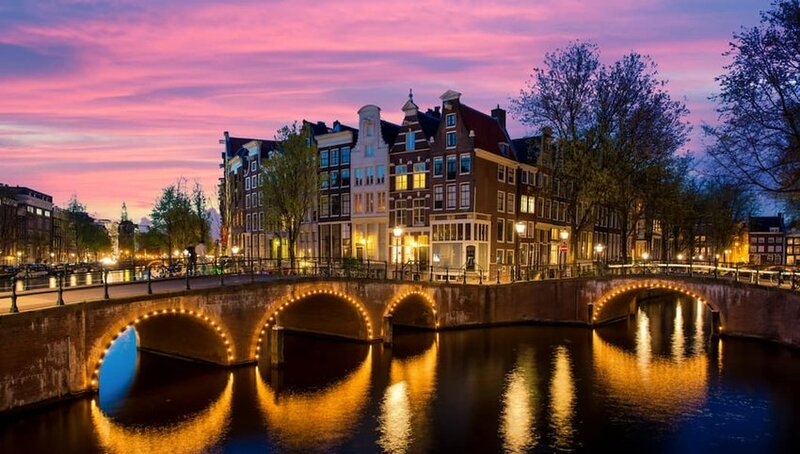 This charming city in the Netherlands is embracing the vegetarian and vegan movement. There are a wide variety of options, but one favorite for an excellent lunch or meal on-the-go is The Cold Pressed Juicery. They have four different locations around Amsterdam and boast a variety of juices, smoothies, raw wraps and salad jars. Who said a plant-based diet can’t include junk food? The Vegan Junk Food Bar has a fun menu full of delicious loaded fries and burgers that are all plant-based. Check out this handy guide for lists of vegan restaurants, shops and supermarkets in this bustling city. 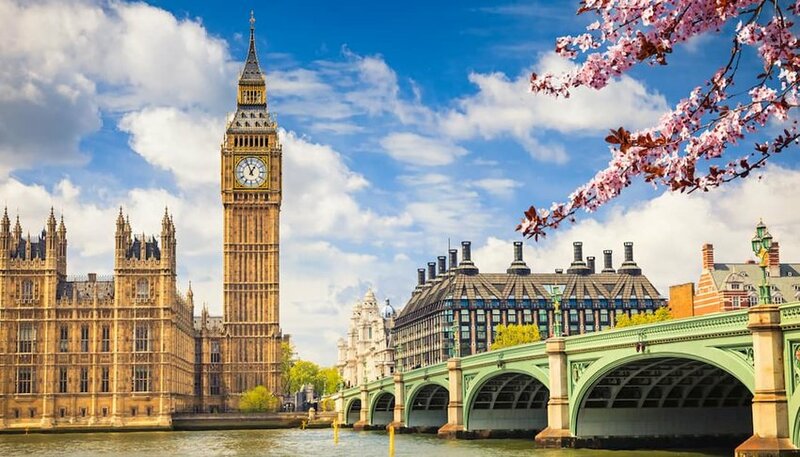 The term vegan was coined in this very city, so it’s no wonder that England’s capital is home to a wide variety of restaurants and vegan goods. Take a stroll over to Will’s Vegan Store for some shoe shopping. They also sell beautiful vegan leather accessories such as purses and wallets. After you’ve worked up an appetite from shopping, you can find a traditional “fish” and chips meal over at Norman’s Coach & Horses, a pub that serves vegetarian and vegan comfort food. For a unique choice that you won’t want to miss, try Temple of Hackney’s famous vegan fried “chicken”. For even more options, Peta has a very useful guide for vegans in London. 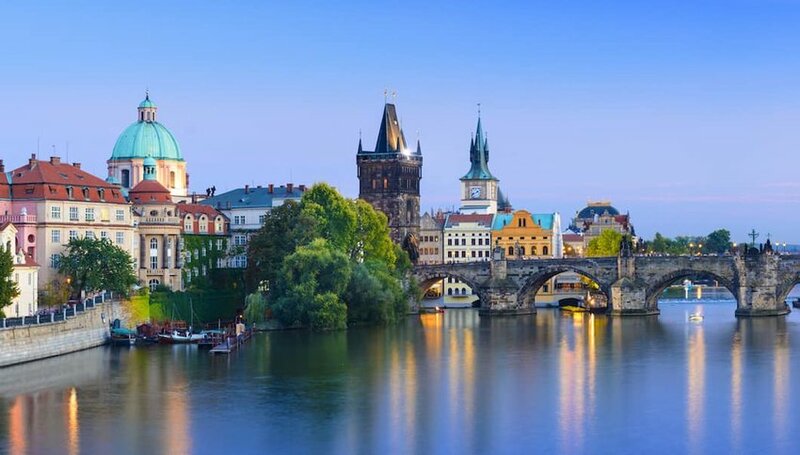 This ornate Eastern European city, with its wide variety of architecture and culture, is becoming very vegan-friendly. Visit Vegan’s Prague, a cozy restaurant that has become popular for serving up authentic Czech food made vegan. There are other 100% vegan restaurants, so no need to worry about scouring menus for a dish to eat. If your fellow travelers are non-vegan, this city is very open to plant-based diets so you shouldn’t have a problem finding an entrée at most restaurants. This handy guide from Vegan Food & Living also has plenty of food options. Berlin is a dream come true for vegans. From burger joints to clothing stores, this capital city has fully embraced the vegan lifestyle and they are excited to share it with you. Start your morning off right at Bammibal’s Donuts for some of the best gourmet vegan donuts and other breakfast foods in town. There are also plenty of vegan-friendly cafés around, so you aren’t limited to just a boring black coffee during your day out. Be sure to check out Vegan Berlin for details about all things vegan in this city — they’ve even mapped out all of the vegan-friendly pizza joints. You’re sure to work up an appetite after wandering the streets of this beautiful city on the river. 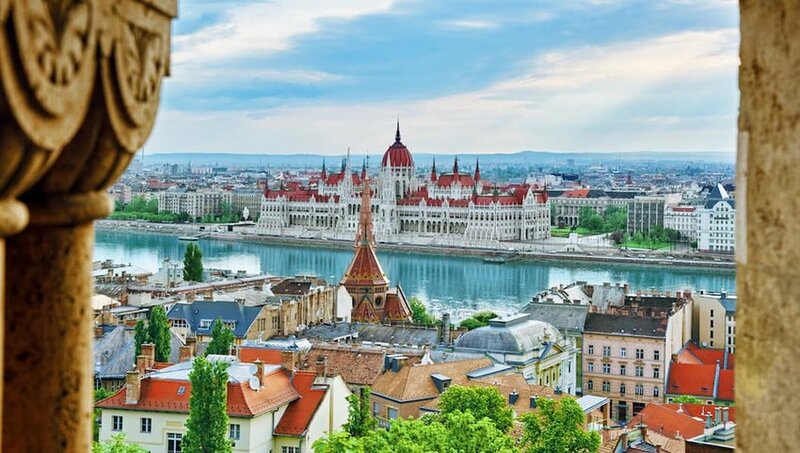 Budapest’s large population has allowed for it to become fluent with trends and culture changes, including veganism. Head over to 827 Speciality Kitchen for a Hungarian buffet complete with plant-based mock meats. There is even a build your own vegan burger option. With plenty of Middle Eastern and Mediterranean influence, there are many menus packed full of falafel, hummus, and veggies. This online guide for the city of Budapest offers a list of other tasty options. One of the world’s most popular tourist destinations is also a great place to try some unique vegan cuisine. 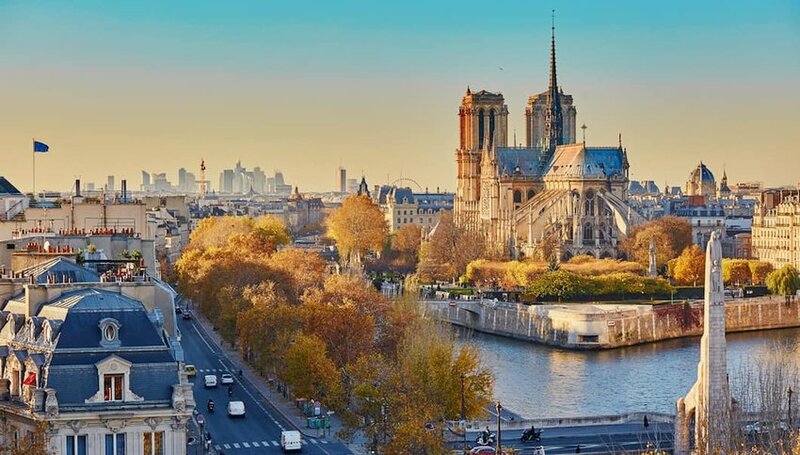 If you want to partake in some of the fine-dining Paris has to offer without straying from your plant-based diet, you will be pleased to find that there are many options. Dine in at Le Potager de Charlotte for traditional European-style dining with a 100% plant-based menu. You’ll be happy to know that many cafés offer vegan-friendly pastry options as well. This guide from Vegan Food & Living provides food options and even helpful vegan phrases translated into French so that you can be sure you’re sticking to your diet.